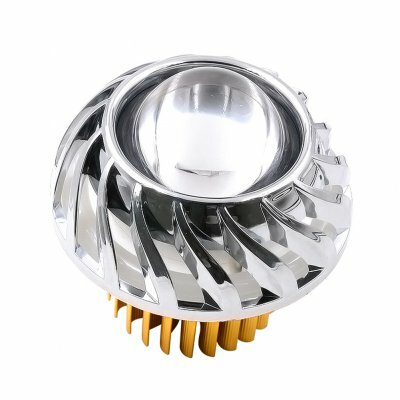 Successfully Added Fashion Cool LED Headlamp Internal Motorcycle Electric Car Spotlight (Red) to your Shopping Cart. Made of aluminum alloy + ABS plastic, weather resistant, durable. Fashion cool design, making your cars more unique and attractive. Adopting LED bulbs with high technology, the energy consumption is much lower.